Within this travel blog is so much hidden information that I thought "How to make that easier to find and in a comprehensive presentation?". Well as you might have seen at the menu header a new item has been introduced Destination Travel Guides. 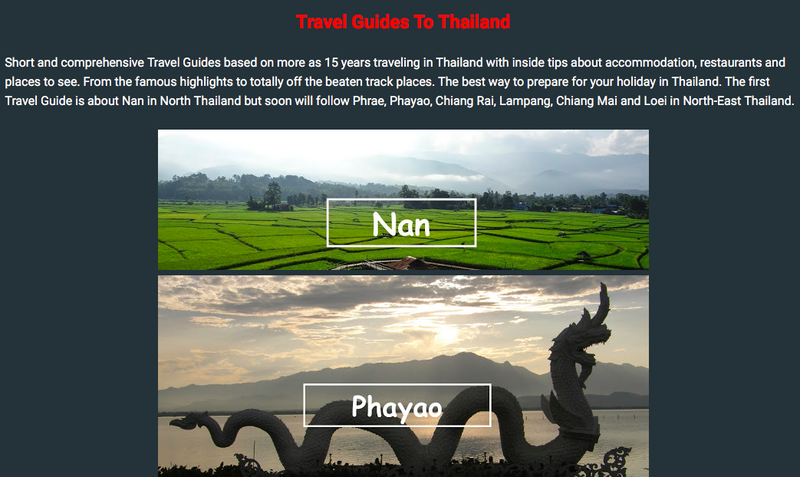 A link to a page with Destination Travel Guides by Traveling 2 Thailand, based on more as 15 years of travel experience in Thailand. I started with my home province Nan in North Thailand and soon will follow Chiang Rai, Phrae, Phayao and Loei. All my personal favourite provinces in Thailand. Have a look at Destination Travel Guides by Traveling 2 Thailand.